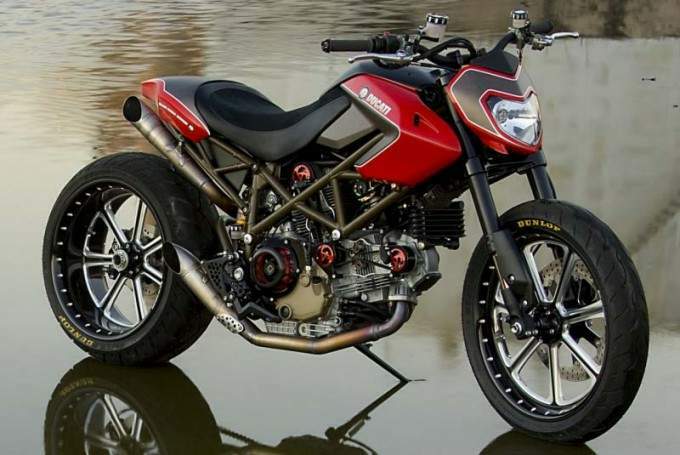 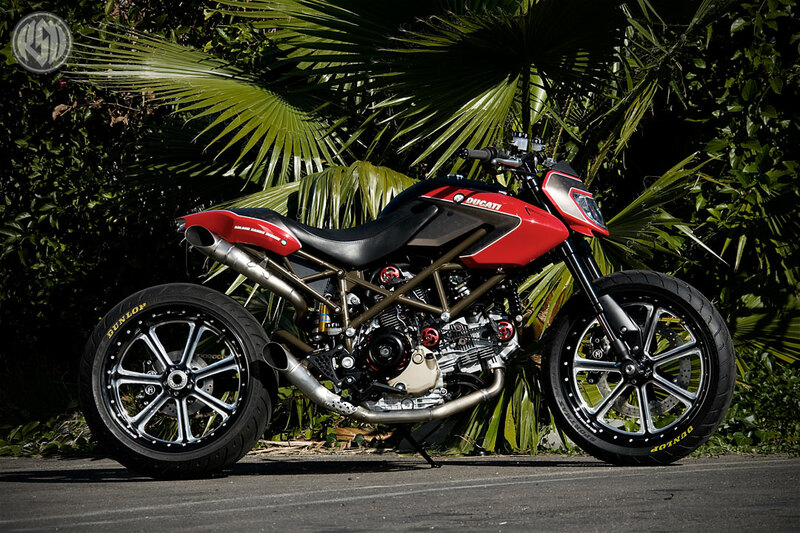 Roland Sands customs have always been race-inspired with performance high on its priority list, so when Ducati went looking for someone to customize the Hypermotard, it didn't have to look far to find someone with the same expectations as themselves. 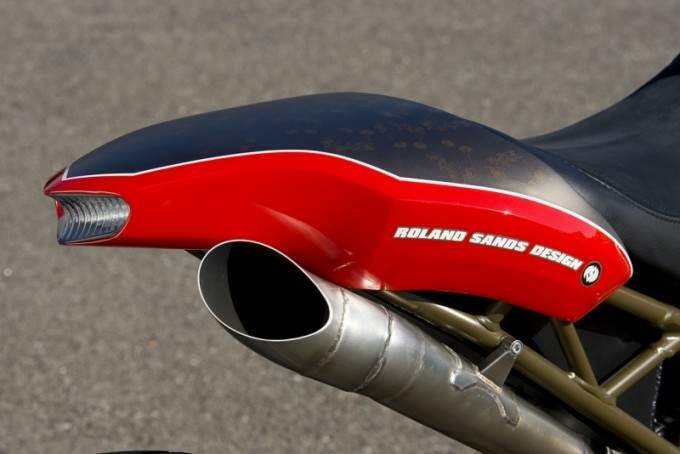 The custom-made twin exhaust pipes look very good, as does the custom red and gray paintjob. 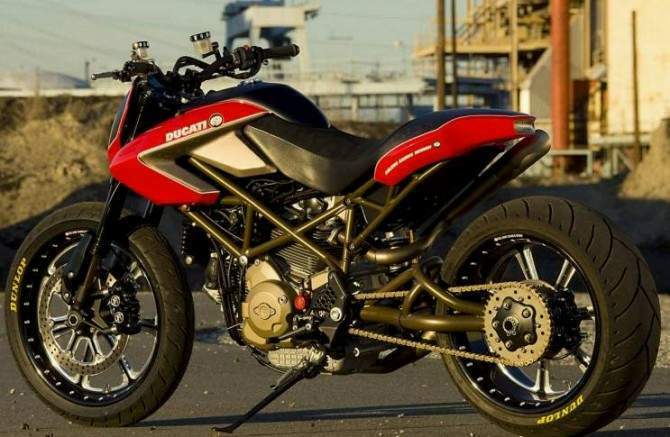 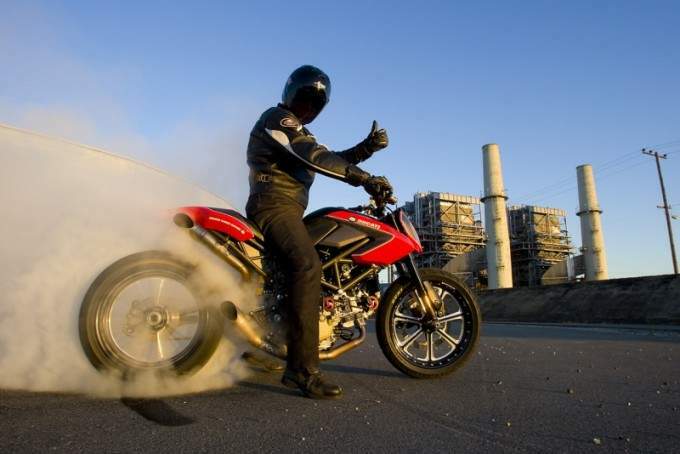 We don’t know if the engine has also been worked upon and whether there are any performance enhancements on this bike, but for a bit of around town posing, this Ducati Ultramotard would probably be hard to beat anyway!